This year, however, is definitely a step in the right direction. Nancy Silverton, founder of Pizzeria Mozza and Osteria Mozza, took home the coveted award for Outstanding Chef. To put that into perspective, no L.A. chef has won the award since 1998, when Wolfgang Puck tied for first alongside Jean-George Vongerichten. Whom did Silverton beat out? Nominees included Michael Anthony of New York’s Gramercy Tavern, Sean Brock of McCrady’s in Charleston, David Kinch of Manresa in Los Gatos, Marc Vetri of Vetri in Philadelphia, and fellow Angeleno Suzanne Goin of Lucques (who has been nominated eight times in the past nine years). Overall, it was a huge year for female chefs. The awards for Best Chef (divided by region) went to women chefs in five out of ten categories. Boston chef Barbara Lynch won the award for Outstanding Restaurateur. 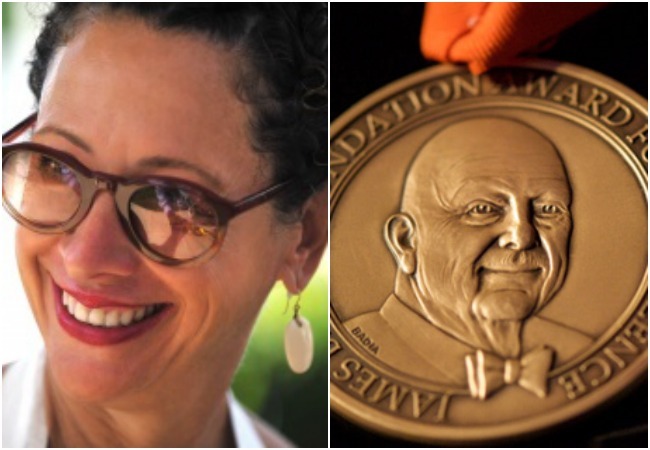 In other L.A. award news, former Spago pastry chef Sherry Yard was inducted into the James Beard Foundation’s Who’s Who of Food & Beverage in America. Daniel Patterson of Coi in San Francisco beat out Vinny Dotolo and Jon Shook and Michael Cimarusti for the award for Best Chef: West, and pastry chef Dominique Ansel (the creator of the Cronut) beat out Osteria Mozza’s Dahlia Nervaez for Outstanding Pastry Chef. Rising Star Chefs (tie): Jimmy Bannos Jr., The Purple Pig, Chicago, and Blaine Wetzel, The Willows Inn on Lummi Island, Lummi Island, Wash. Outstanding Wine, Beer, or Spirits Professional: Garrett Oliver, Brooklyn Brewery, Brooklyn, N.Y. Outstanding Wine Program: The Barn at Blackberry Farm, Walland, Tenn. Outstanding Service: The Restaurant at Meadowood, St. Helena, Calif.
Best Chef, Mid-Atlantic: Vikram Sunderam, Rasika, Washington, D.C.
Best Chef, Northwest: Naomi Pomeroy, Beast, Portland, Ore.
Best Chef, Southeast: Ashley Christensen, Poole’s Downtown Diner, Raleigh, N.C.